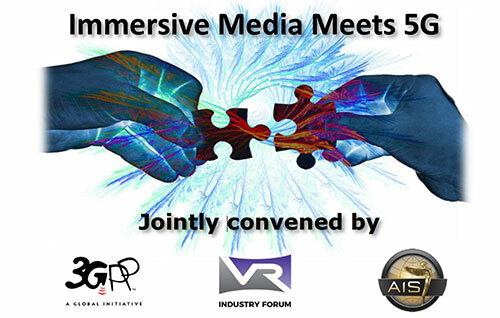 - RAN Working Group 4 has been focusing on ensuring the stability and compatibility of the Release 15 specifications as it draws to a successful completion. Now, the focus shifts to work on Release16, where RAN4 has made tremendous early progress on new 5G NR bands and band combinations. Due to practical reasons the Release 16 version of RAN4 specifications will only be created in June 2019 RAN Plenary. In the meantime, the completed Release 16 band specifications are maintained in RAN4 as a set of endorsed Change Requests. Note that band specifications have always been release independent. 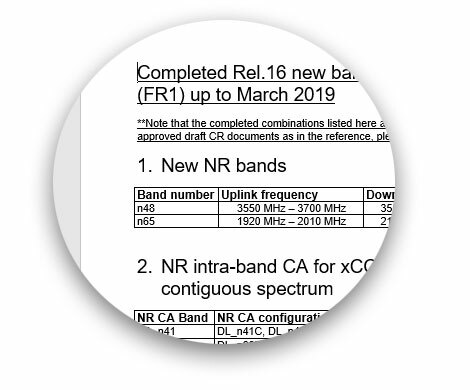 Consequently, from a specification perspective Release 16 NR bands and combinations can be supported by Release15 User Equipment (UE) and network. The 83rd Plenary meetings of the project, held in Shenzhen, China, have completed elections for each of the three Technical Specification Groups – CT, RAN and SA. First up was the Core Network and Terminals (CT) Group, where Lionel Morand of Orange was elected Chair by acclamation. Lionel has been the TSG CT Working Group 4 (CT4) Chair since July 2016, after serving as Vice-Chair from 2012 to 2016. As Orange's lead representative for more than fifteen years, he has been an active member and a key contributor in the CT4 work. 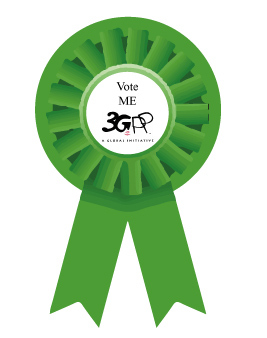 3GPP Working Group SA1 has recently concluded its work on 5G service requirements for cyber-physical control applications in vertical domains (cyberCAV) with the approval of Technical Specification (TS) 22.104 - preparing the way for more detailed work in 3GPP Release 16.
cyberCAV efforts in SA1 are focusing on cyber-physical control applications in various vertical domains, especially in industrial automation and energy automation. 5G ultra-reliable ultra-low-latency communication (URLLC) is needed for sharing real-time information, for example, between machines at various steps in a production cycle. 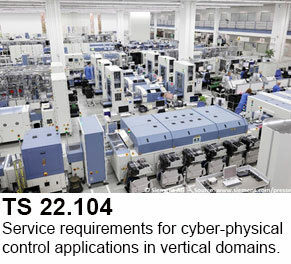 TS 22.104 also contains the service requirements, such as on clock synchronization for time-sensitive networking, for cyberCAV using LAN-type services. 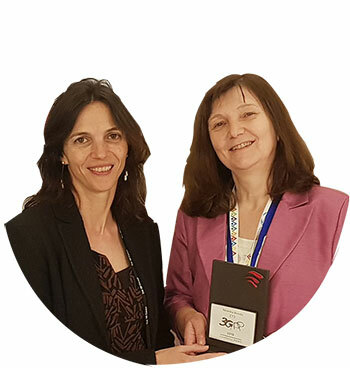 In Xi'an - China, CT3 has recognised the outstanding contribution of Nevenka Biondic to work in the IMS/CS area and as the groups Rapporteur for Stage 3 aspects of the 5G System; Background Data Transfer Policy Control Service work in TS 29.554. At the same location - RAN1's Kazuaki Takeda has received the last of this year's four awards. Kazuaki has been instrumental in covering a variety aspects of physical layer standardization from LTE to NR. More recently, he served as rapporteur for the NR Release 15 study and work item. He has also helped chair the Release 15 UE feature discussions, as well as some of the recent Release 15 LTE - eMTC/NBI-IoT online sessions.